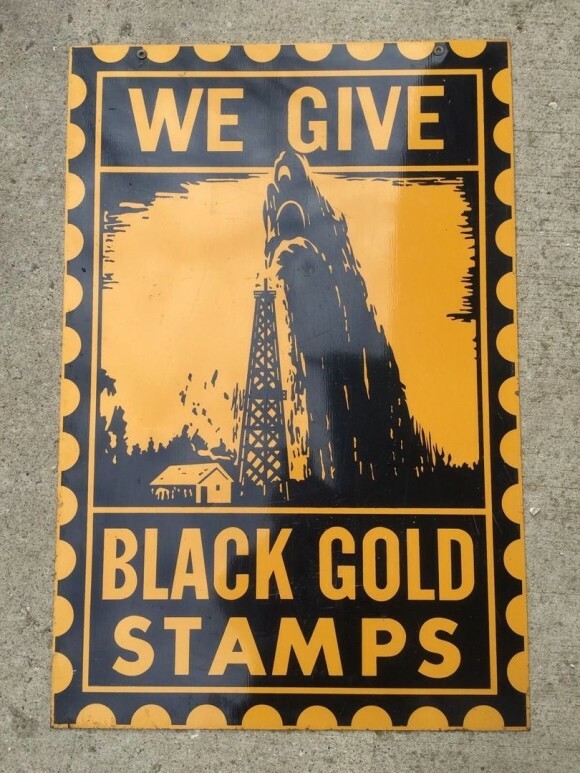 This sign is for Black Gold Stamps. The sign’s colors are black and gold. The text on the sign reads: We give Black Gold Stamps. The sign shows an oil rig in the center with text on a stamp background surrounding.